Most often, when a homeowner finds they have a leaky basement, his or her first thought is of rain. Not surprising, when heavy rains often cause wet basements and most preventive efforts involve managing rain water outside the house, including cleaning gutters, extending downspouts and fixing grading and landscaping so that water runs away from the house. Rain may be the most common source of a leaky basement but it’s not the only one. Melting snow can also find its way into the basement, either at the time of “spring thaw” or during fluctuating temperatures in winter. Frozen earth near the surface may exacerbate the problem. Once the traffic snarls and shoveling are done, almost everybody likes snow. It looks pretty, covering everything in a pristine coat of white, covering up all the yard work that didn't get done in the fall. Kids love to play in it, dogs enjoy the challenge and winter sports fans are pleased. What’s not to like? Well, there’s that day when it melts. 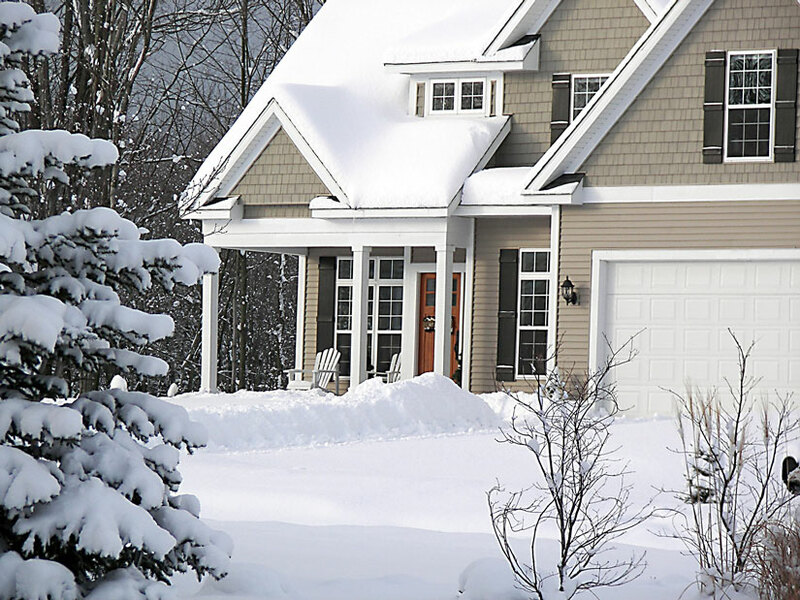 In many areas, with typically fluctuating winter temperatures that can go from a relatively balmy 45 degrees one day to a polar subzero the next, snow may come and go several times during the winter. In colder climates, the first snow of the season may fall in November and pile up until spring – when it all melts at once. In either situation, melting snow leaves a lot of water that has to go someplace, often into the basement. How much water? That depends. A rough standard is that 10 inches of snow equals one inch of water but that is defined by dry, powdery snow. In other areas, 8 inches of more compact snow can equal an inch of rain. One inch of rain equals 600 gallons of water per 1000 square feet of surface on which it falls and, if one considers the size of an average roof and just a ten-foot-wide band around the perimeter of the average house, that amounts to thousands of gallons of water that result from those 8 inches of snow melting. In warmer weather, rain water will soak into the soil which, although it presents its own danger to basements, is better than having snowmelt running across frozen surface soil and seeking places to flow downward. Inevitably, some of that water is going to find its way down along foundation walls and end up, through one means or another, in the basement. How will it get there? One common way is through non-structural cracks in poured concrete walls or deteriorated mortar joints in masonry walls. It may also leak in around poorly fitted windows or badly sealed utility openings. Enough water can also penetrate to warmer soil below the foundation to increase hydro-static pressure from below that will force water in through floor cracks and the cove joint.